The Red Sox continued to make moves on the final day of the Winter Meetings on Thursday, reaching a a deal with free-agent reliever Koji Uehara, according to a Major League source. The deal is pending a physical. Uehara, 37, pitched 36 innings for Texas last season, his fourth in the Major Leagues. He would give the Red Sox another experienced late-inning arm. The right-hander worked to a 1.75 ERA in 37 appearances for Texas last season, and he has posted a 2.89 ERA in 157 big league appearances. Uehara was a two-time winner of the Sawamura Award, given annually to the best starting pitcher in Japan, during his tenure with the Yomiuri Giants of Central League, and he signed with the Orioles prior to the 2009 campaign. 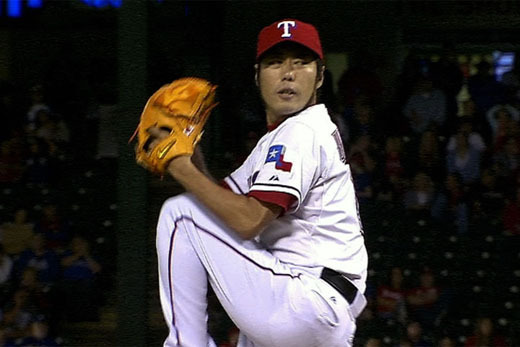 Uehara was traded to Texas in 2011, and he's pitched in the playoffs for the Rangers in each of the past two seasons.